In a paper recently published in Science Advances, Earth sciences Ph.D. student Abigail D'Ambrosia linked past global warming with mammalian shrinking. Fossil-rich field location in Bighorn Basin, Wyoming. More than 50 million years ago, when the Earth experienced a series of extreme global warming events, early mammals responded by shrinking in size. While this mammalian dwarfism has previously been linked to the largest of these warming events, called hyperthermals, research led by UNH has found that this evolutionary process can happen in smaller hyperthermals, indicating an important pattern that could help shape an understanding of underlying effects of current human-caused climate change. 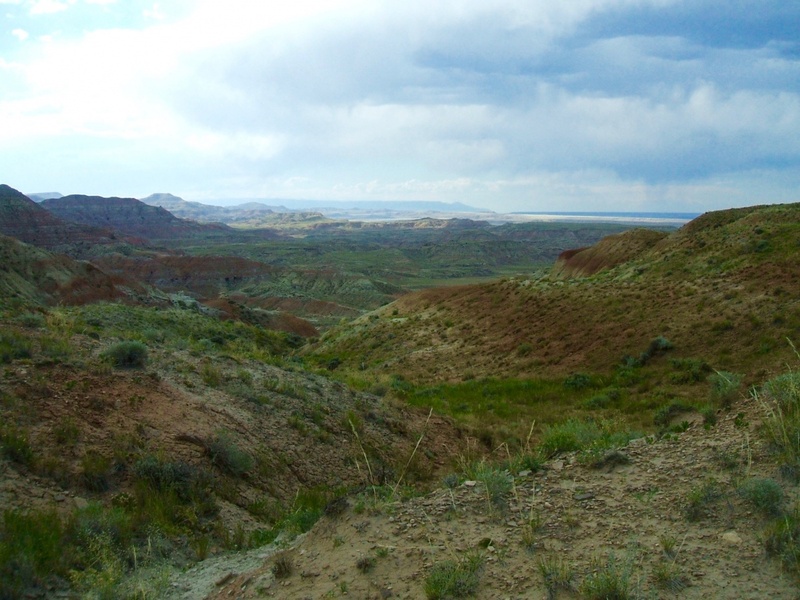 For the study, researchers collected teeth and jaw fragments in the fossil-rich Bighorn Basin region of Wyoming. Their focus was on several early mammals, including Arenahippus, an early horse the size of a small dog, and Diacodexis, a rabbit-sized predecessor to hoofed mammals. Comparing fossil size: larger non-ETM2 Arenahippus specimen in left hand, smaller mid-ETM2 Arenahippus specimen in right hand. Researchers propose that the body change could have been an evolutionary response to create a more efficient way to reduce body heat. A smaller body size would allow the animals to cool down faster. Nutrient availability and quality in plants may have also played a role. Previous research shows that both the PETM and the ETM2 hyperthermals coincided with increased levels of carbon dioxide in the atmosphere and that could have limited nutrient quality in plants, which may have contributed to the smaller mammal body size. Hydrological records during the PETM also suggest less precipitation and drought, which could have led to drier soils and even fire which may have affected vegetation growth and eventually possibly offspring size. After both hyperthermal events, body sizes on all mammals rebounded. Co-authors include William Clyde, professor of Earth sciences at UNH; Henry C. Fricke, Colorado College; Philip D. Gingerich, University of Michigan; Hemmo A. Abels, Delft University of Technology, Netherlands. 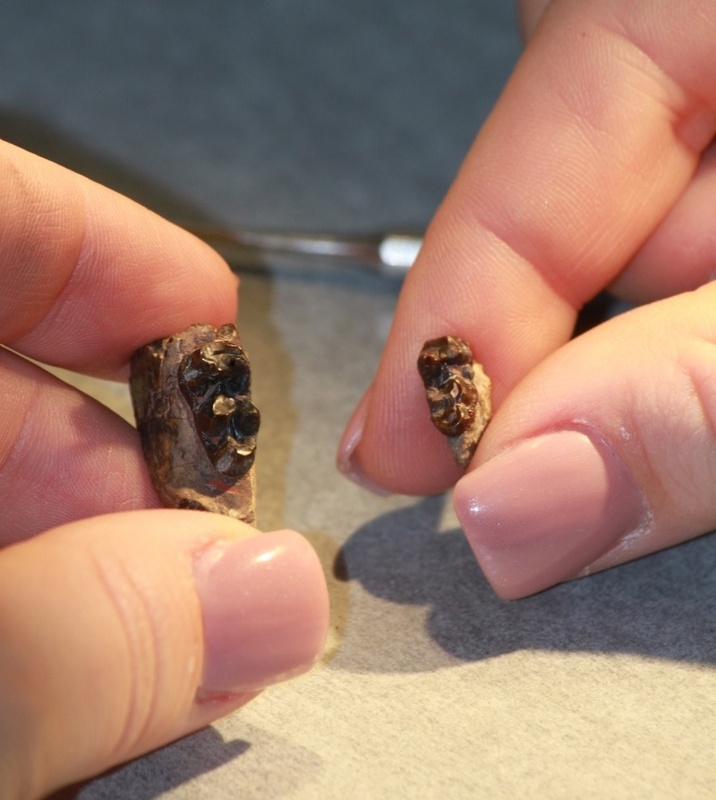 The preliminary findings were presented earlier at the Society of Vertebrate Paleontology’s 2013 annual meeting. D’Ambrosia received funding for this project from two Geological Society of America Graduate Research Grants, a Paleontological Society Student Research Grant, and a Sigma Xi Grant-in-Aid. This project was also supported by the National Science Foundation and the Nederlandse Organisatie voor Wetenschappelijk Onderzoek. 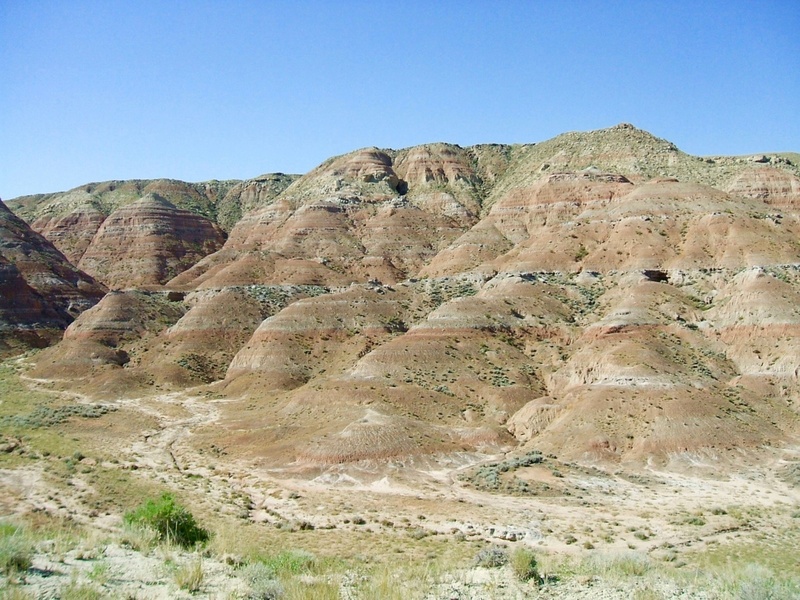 Fossils were collected under a U.S. Bureau of Land Management permit. The McCullough Peaks region of the Bighorn Basin, where study field sites are located.